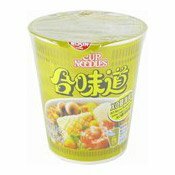 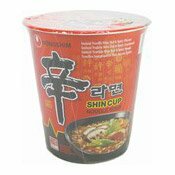 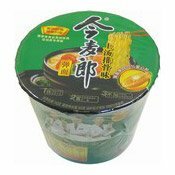 Ingredients: Noodles: Wheat Flour (Gluten) (55%), Palm Oil, (Contains E306), Salt, Acidity Regulators (E501, E500), Humectant (E452). 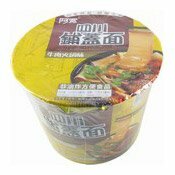 Soup Powder: Salt, Pork Extract (1.8%), Spices, Sugar, Flavour Enhancers (E621, E635), Dehydrated Scallion, Acid (E330). 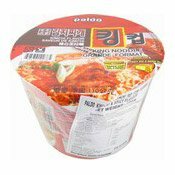 Sauce Sachet: Palm Oil (Contains E306), Spices (Red Chilli, Garlic), Pork Extract (1.3%), Salt, Pork Lard (0.6%), Colour (E160c). 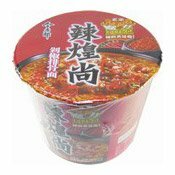 Flavouring Sachet: Red Chilli, Salt. 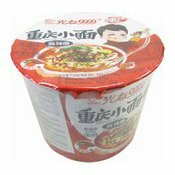 Simply enter your details below and we will send you an e-mail when “Instant Bowl Noodles (Spicy Pork Rib) (今麥郎辣煌尚排骨麵)” is back in stock!